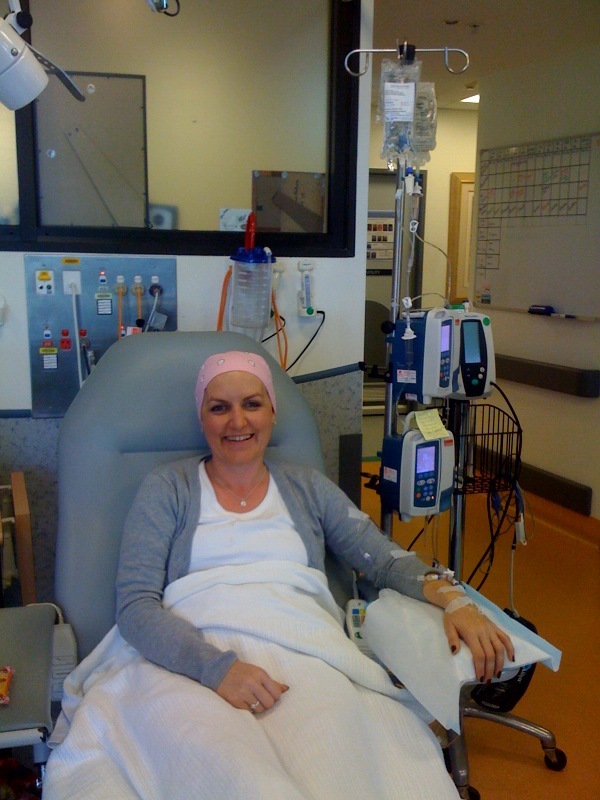 Learning How to Dance in the Rain ....: Chemo 3 - yeha all done!! Well I am at home and in my very comfortable bed!! My brain and eyes are a bit fuzzy so I apologise in advance for any strange wording that may appear in this blog!! I am pleased to say that today all went well. The staff at the chemo unit are truely wonderful. They were all prepared to make today go as smoothly as possible for me - the nurse who was overseeing me today is the same lady who did my orientation to the unit at the very beginning of this chapter. She is such a wonderful caring and gentle person - such a treat to have her look after me today. The other nurses are also lovely and each one came to offer me encouragement and support for the day. As usual I saw the Dr first - the blood results were fine from yesterday. I handed him my long list of side effects and he prescribed me some more drugs to add to my own personal pharmacy at home!! He was the same Dr that I had seen last time too - a really nice man - so we had a laugh about what was in the pipeline today. My pulse was over 100 at rest and he said his would be too reflecting on the last experience. Well soon it was all systems go and I was given all the premeds iv and then the first drug was run in exceptionally slowly to start and when we knew all was okay it was also increased slowly and all went smoothly. The same approach was started with the next drug and I am so relieved that all 3 went in without a problem. Yeha yabadabadoo!!!!!!! It was still a long marathon of almost 7 hours but all went calmly so no complaints!! B was able to spend time with me off and on and my faithful friend J - stayed all day - stocking me up with nibblies and drinks. As she works fulltime it is always a lovely time to just catch up together -she books that day off so she can be there for me - very special. When all was over we dashed to the school to get the girls - we were a bit late but they were relieved to see me with J in the car. A has made me a cup of tea and a slice of a most delicious cake that a friend had made for us. I have my pjs on and am about to have a snooze! I can feel the effects kicking in so thought I would update you all now - as I may be out of it for a bit. So glad to share that all went well and hopefully with my new drug cocktail the next few days wont be quite as bad! The sun is still shining here - I can hear the birds singing - and only 1 more to go!!!!!!!!!! I'm so pleased it went better today. You and your amazingly upbeat blog are an inspiration, you are truly an amazing human being. Well Debs my beautiful daughter that is inside and out so glad to see you smiling through all this, so relieved that today went smoothly. I just thank God for his protection over you night and day.